Clothes vary from person to person and sometimes it is extremely hard to get the exact fitting. Every person has a different body structure and it is not possible for everybody to get the perfect fit. For this purpose, you can always buy clothes that are the closest to your fitting and then shrink them in a washing machine. You can buy clothes that are slightly lose and then shrink them at the required heat setting to achieve the desired results. However, you may not always get the perfect results and there is always a risk of damaging the clothing. First of all, try the jeans to determine how much lose they are and from what areas. 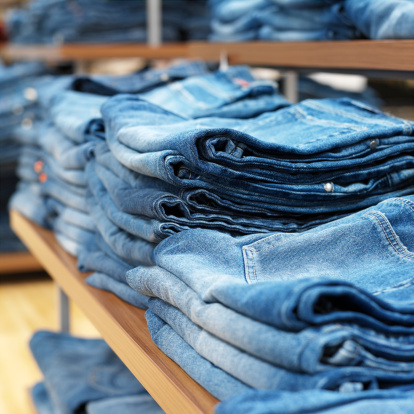 A standard jeans could only shrink by a quarter inch or less. So, if you feel that the jeans you are trying will not fit you even after the process, return it to get another size. But if there is only a minor fitting problem, you can try your hand at shrinking. This is the most important step. Place the jeans in the washing machine and set the heat setting. The heat setting is vital as the more heat you provide to the jeans, the more it will shrink. Similarly, less heat will cause a less shrink. Set the setting on what you desire and run the washing machine for a good 5 minutes for best results. Once the washing is done, place the jeans in the dryer. The process is same in drying. If you set the dryer at a hotter setting, the jeans will shrink more. However, it is good that you try the wet jeans on when you remove it from the washer. This will give you an estimate of how much more shrinking needs to be done. Once the jeans has gone through the drying process, you can try it again to check whether the desired results have been achieved or not. If there is still margin for more shrink, you can repeat the same process once again.